Home And Away‘s Melissa George (pictured) says there is an unexpected benefit to portraying a pregnant woman on television. “Now I can eat my lunch before going on set and not have to worry about holding my tummy in!,” she told TV Week. Her character Angel’s pregnancy to Shane (Dieter Brummer) was not planned, as the former street kid was hoping to enrol in an in-vitro fertilisation program with the biological father of her first child, Dylan (Corey Glaister), in the hope of producing a full brother or sister whose bone marrow could be used to help treat his leukaemia. “She’s all over the place because she had her mind set on having a baby with Paul (Ramsay Everingham) so Dylan could survive,” George told TV Week. “But now Shane’s so happy and while she’s tossing up whether to terminate the pregnancy or not, she knows she can’t because she loves Shane so much.” Meanwhile, following an extension to her contract, George is at this stage expected to say on-screen with Home And Away until mid-1996. The ABC, frustrated by its own admission that it prefers to hire experienced writers and directors for drama projects due to the fast turn-around time, is in the process of commissioning a series of three short films from talented newcomers, with plans for another three next year. “The idea for the 10-minute films came up because I’ve been very impressed with a lot of the writing submissions I’ve received,” Sue Masters, head of ABC’s drama department in Victoria, told TV Week. “And it was an opportunity for independent producers to come in and work with us as well.” Despite the fresh nature of the creative talent, some experienced actors are to be involved in the project — including Grant Piro (Janus, Correlli), Leon Teague (Janus), Joe Spano (Embassy), Doug Bowles (Correlli) and Mary Ward (Prisoner). The series of short films will be aired under the banner title of Short Wave. Wheel Of Fortune co-host Adriana Xenides admits it was an emotional experience taping the 3000th episode of the long-running game show and being confronted with old footage from the early days. “We were seeing all this footage as part of the 3000th program and tears just started streaming down my face,” she told TV Week. “Wheel has been part of me for more than a third of my life and I find it hard to explain how it made me feel to see all that history.” Xenides has not missed a single episode of the show since it began in 1981, and she is recognised as the longest-serving game show hostess in the world. Wheel Of Fortune was originally hosted by Ernie Sigley before John Burgess (pictured with Xenides) took over in 1984. As Australian television approaches its 40th anniversary, TV Week launches a new survey to find Australia’s favourite shows of all time. Readers are invited to nominate their ten favourites which can come from any genre — drama, comedy, sport, current affairs, documentaries, etc — and no restriction on which country the shows originate from. 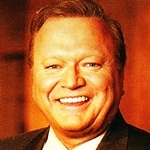 TV Week has asked two former Gold Logie winners — Ray Martin and Bert Newton (pictured) — to suggest their ten favourites of all time. A Current Affair host Martin nominates his top ten (ranked from 10 to 1): Rugby League, Four Corners, Lonesome Dove, A Current Affair, Minder, Midday, Fawlty Towers, Hill Street Blues, 60 Minutes, This Day Tonight. Good Morning Australia host Newton’s top ten favourites (again from 10 to 1): The Mike Walsh Show, The Sullivans, It Could Be You, Bobby Limb’s Sound Of Music, The Steve Allen Show, The Perry Como Show, The Footy Show, NYPD Blue, GP, Seinfeld. Former GP star Damian Rice has scored a role in the upcoming second series of Fire. Production on the series is to begin in November. Kids show What’s Up Doc? host Catriona Rowntree has been seen auditioning for Nine‘s travel show Getaway. Executive producer Adrian Swift admitted he is a fan of her work, but at this stage there isn’t a vacancy on the show. When Prisoner stars Colette Mann and Maggie Kirkpatrick heard that Grundy Television was working on a revival of the former hit series, they didn’t waste any time offering ideas on how to write their characters back into Wentworth Detention Centre almost a decade after the original wound up production. Saturday: Beyond 2000 (5.30pm, Ten) looks at the battle of the silicon giants in Robot Wars; sci-fi writer Douglas Adams gives a hitchhikers guide to the future; and a report on the search for a cure for the mysterious Lyme disease. The NBL Mitsubishi Challenge (8.30pm, Ten) features Game One of the Grand Final series, North Melbourne Giants versus Perth Wildcats. Sunday: Current affairs program Sunday (9am, Nine) presents a special report, ‘DHEA: The Anti-Ageing Drug’. The cricket season begins with the Mercantile Mutual Cup (11am, Nine), featuring Queensland versus Victoria, live from Brisbane. Sunday night movies are Sidney Sheldon’s Memories Of Midnight (Seven), Avalanche (Nine) and My Cousin Vinny (repeat, Ten). The Rugby League Centenary World Cup (1.05am, Nine), Australia versus England, is telecast from Wembley Stadium, London. Monday: In Frontline (8pm, ABC), Mike (Rob Sitch) is upset when a viewer accuses the show of being irresponsible; and Marty (Tiriel Mora) helps a killer walk free. Tuesday: Wheel Of Fortune (5.30pm, Seven) presents its 3000th episode. In Blue Heelers (8.30pm, Seven), a Mount Thomas man who fought in Vietnam and went on to become a mercenary soldier returns home as a paraplegic, and when he is found murdered in a hospital bed there is no shortage of suspects. In GP (8.30pm, ABC), a single parent risks losing custody of her daughter when William (Michael Craig) discovers that the child may have been affected by foetal alcohol syndrome. Wednesday: In Bordertown (8.30pm, ABC), Dante (Petru Georghiu), a resident at the Baringa Migrant Centre, is particularly frustrated as he waits for his wife, Diomira (Peta Toppano, pictured) to join him, but her arrival provides a shock as she had learned English on the boat to Australia and has acquired a taste for freedom, including a ship-board flirtation with Dante’s former apprentice, Cesare (Robert Mammone), which has unexpected repercussions. Thursday: In Home And Away (7pm, Seven), Irene (Lynne McGranger) receives insurance money from Mud’s (Tom Richards) death. The John Pilger documentary Vietnam: The Last Battle (8.30pm, ABC) examines the legacy left to the Vietnamese by their American invaders. Friday: The documentary The Flying Nun (8.30pm, SBS) looks at Queensland’s Sister Anne-Maree Jensen, a 40-year-old Catholic nun who has been flying her single engine Cessna across some of the most remote parts of south-western Queensland in conducting her ministry across her bush parish. The NBL Mitsubishi Challenge (8.30pm, Ten) features Game Two of the Grand Final series, live from the Melbourne Sports and Entertainment Centre. Roy and HG (John Doyle and Greig Pickhaver) present the series final of their variety show, Roy And HG (10.30pm, ABC), which includes the conclusion to their “mini-soap”, Ian, and the announcement of the lucky member of the studio audience who will drive out in a classic 1965 Nissan Cedric.